On January 15th, after waiting for months for the expected return of HPAI H5 to the United States, we saw APHIS Announce HPAI H7N8 In Commerical Turkey Farm - Indiana, instead. While 10 farms were initially affected (1 HPAI & 9 LPAI), the outbreak was limited, and no other farms or wild birds in the area have tested positive for the virus. This was the first detection of an HPAI H7N8 virus, although LPAI H7N8 viruses have been detected in wild birds. This outbreak virus appears to be the result of both a reassortment in wild birds, followed by a mutation from LPAI to HPAI in infected poultry. Over the past year we've seen an unusual increase in number of these LP to HP conversions (see You Say You Want An Evolution?) involving multiple H7 & H5 subtypes in Europe. While it doesn't happen all that often, the risk is considered great enough that all LPAI H5 and H7 outbreaks must be reported to the OIE, and immediate steps must be taken to contain and eradicate the virus. HPAI viruses have been generated in the lab by repeated passage of LPAI viruses through chickens (cite FAO) but exactly how and why this occurs naturally is poorly understood (see JVI Emergence of a Highly Pathogenic Avian Influenza Virus from a Low Pathogenic Progenitor). .
On Friday the USDA/APHIS released a 60 page preliminary Epidemiology report on these outbreaks, and while many questions remain, it will serve as a platform for ongoing investigations into this outbreak. 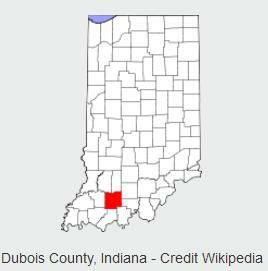 March 4, 2016 - The United States Department of Agriculture’s Animal and Plant Health Inspection Service (APHIS) released a preliminary epidemiology report for the highly pathogenic avian influenza (HPAI) and low pathogenic avian influenza (LPAI) cases confirmed in Indiana. Following these avian influenza findings, APHIS joined forces with the Indiana Board of Animal Health and the poultry industry to complete a series of epidemiologic, geospatial, and laboratory-based investigations. Genetic analyses of these viruses indicate that all viruses are of North American wild bird lineage, the HPAI and LPAI viruses are highly similar, and the LPAI virus mutated to HPAI at a single farm. 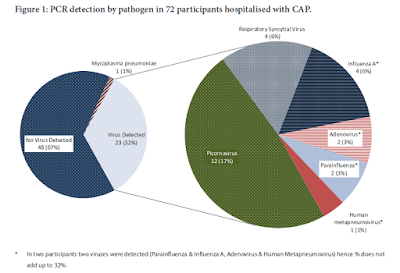 APHIS sampled wildlife on infected premises but did not detect the new H7N8 virus. One of the factors examined was the weather. 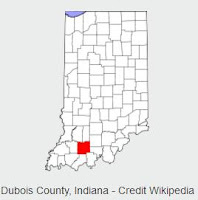 The weather in Dubois County, Indiana was warmer and wetter than past years, which may have contributed to the introduction and persistence of the virus. More detailed geospatial analysis is ongoing. APHIS used an in-person questionnaire to examine physical and management characteristics of infected premises. There were specific practices identified as risk factors in the 2015 outbreak. The initial analysis showed that farmers in Indiana had eliminated some of these practices from their routine. However, a few of those practices were still seen on the affected farms. APHIS is now collecting similar information on non-infected farms to help further interpret the infected case data. Click here to view the full epidemiology report. The preliminary findings reinforce the need to remain vigilant in the upcoming months and to maintain good biosecurity practices. Biosecurity is one of the most important steps any producer can take to protect the health of their birds. Biosecurity information, training resources, and a producer self-assessment are all available through the APHIS website. APHIS will continue to provide updates to this report and investigate how the HPAI/LPAI virus was introduced and spread in Indiana.